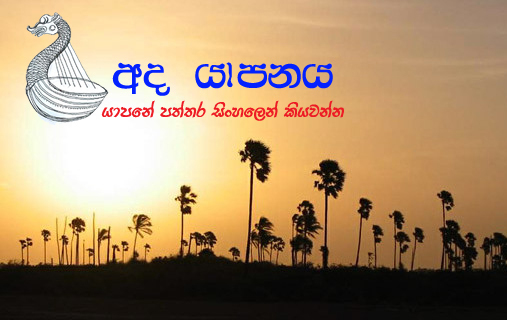 කොළඹ 02, ශ්‍රීමත් ජේම්ස් පීරිස් මාවතේ පිහිටි නාගරික සංවර්ධන අධිකාරියට අයත් අක්කර 06 කින් යුතු භූමි භාගයක් Shang Properties (Pvt) Ltd වෙත 99 අවුරුදු බදු පදනම මත ලබා දී ඇත. මෙම බදු ගිවිසුමේ බදු රහිත වටිනාකම රුපියල් බිලියන 12.8 කි. Shang Properties (Pvt) Ltd යනු Kerry Properties Limited සහ Shang Properties, Inc. සමාගම්වල බද්ධ ව්‍යපාරයකි. Shang Properties, Inc. පිලිපීනයේ ලැයිස්තුගත සමාගමක් වන අතර එය Kuok Group හි දේපළ සංවර්ධන හස්තය ලෙසින් කටයුතු කරයි. කොළඹ සහ හම්බන්තොට ෂැන්ග්‍රිලා හෝටල් ව්‍යාපෘති Kuok Group හි ශ්‍රී ලංකාවේ සිදුකර ඇති අනෙකුත් ආයෝජන වේ. මේ සම්බන්ධයෙන් නිවේදනයක් නිකුත් කරමින් Shang Properties (Pvt) Ltd කියා සිටින්නේ නවීන මිශ්‍ර ව්‍යාපෘතියක් මෙහි දියත් කරනු ලබන බවයි. අදාල ගිවිසුමගත වීමේ අවස්ථාවට එක් වූ දෙස් විදෙස් නියෝජිතයින් ඡායාරූපයේ දැක්වේ. මීට පෙර පැවති මහින්ද රාජපක්ෂ පාලන සමයේදීද කොළඹ ගාලු මුවදොර පිහිටි වටිනා ඉඩමක් මෙම ෂැන්ග්‍රිලා හෝටල් ව්‍යාපෘතිය සඳහා සින්නක්කරවම විකුණා දැමූ අතර එලෙස ඉඩම් විකිණීම සම්බන්ධයෙන් වත්මන් රනිල් – මෛත්‍රී ආණ්ඩුව බලයට පැමිණීමේදී දැඩි විවේචනයක් එල්ල කරන ලදී. From Left to right: Ms. Gayashi Abeysena – Legal Counsel, Mr. Rajeev Garg – General Manager, Mr. Wilfred Woo – Executive Director, Mr. Louis Wong- Director representing Shang Properties and Hon. Minister Patali Champika Ranawaka, Eng. Nihal Rupasinghe, Mr. Sumedha Ratnayake – Director General, Ms. Thushani Liyanarachchi – Director Legal, Mr. Ranepura – Asst. Land’s Director representing the UAD.